Now the guys ‘n’ gals over at Nokia are getting chummy with Microsoft all eyes are on the Finnish phone giant to see what happens next. Well, what happens next is our friends over at Engadget get their hands on some pictures of the first Nokia concept phones to run Windows Phone 7. 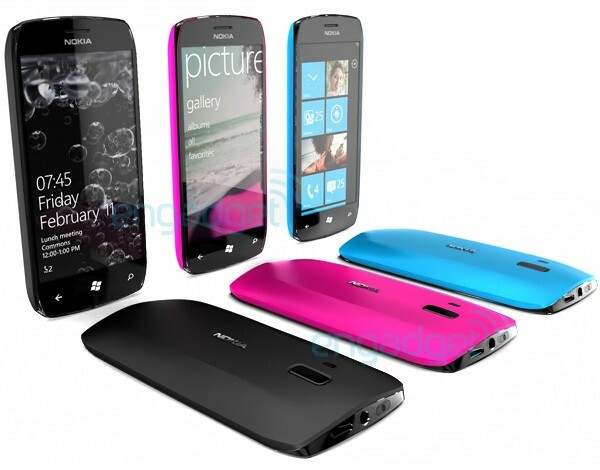 Resembling the current Nokia N8, the concept was jointly created by new best-buds Microsoft and Nokia, with Nokia’s flair for all things multi-colored shining right on through. As Engadget’s Vlad Savov points out though, it’s worth remembering that concept doesn’t always equal production handset, so don’t start pining for the bright pink loveliness just yet! One thing’s for sure though – if Nokia can bring it’s hardware A-game to the table, and Microsoft can sort out the gaping holes in its operating system then the future for this particular joint venture could be rosy after all.